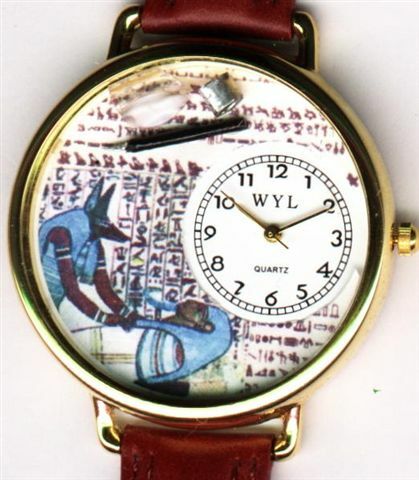 Anubis peforming an embalming, this watch even has a miniature trocar in it for you fluid pushers. This watch is custom designed for us. You won't find it available any place else. Comes with a unisex black padded band. All watches have a replaceable battery.